« Can SAP keep its promises of database dominance? SAP outlined its cloud plans Tuesday and there is perhaps no greater indication of the shift in strategy – and culture – than the attitudes of its newest executive board member toward Business ByDesign. Dalgaard intends to change that. Pundits at the SapphireNow show here in Orlando are wondering how he’s going to change the culture as well. He’s taken up the customer mantra of co-CEOs Jim Hagemann Snabe and Bill McDermott. “At SAP we’ve had too much PhD and too little customer,” Dalgaard said. Business ByDesign will still be a sold as a suite to SMBs and divisions of larger enterprises, but the future of cloud applications at SAP is a modular one. In his keynote address at Sapphire, Dalgaard identified a four-prong approach to selling cloud apps: customers, people, money, suppliers. The customer-focused cloud applications are already out with an upgrade to Sales OnDemand and the availability of a new social media tool (or the SAP Social Customer Engagement OnDemand solution if you’re, you know, not into the whole brevity thing). The people applications will be based mostly on SuccessFactors’ human capital management portfolio and was highlighted by the release today of a version of SAP’s cloud-based payroll system that integrates with SuccesFactor’s Employee Central. 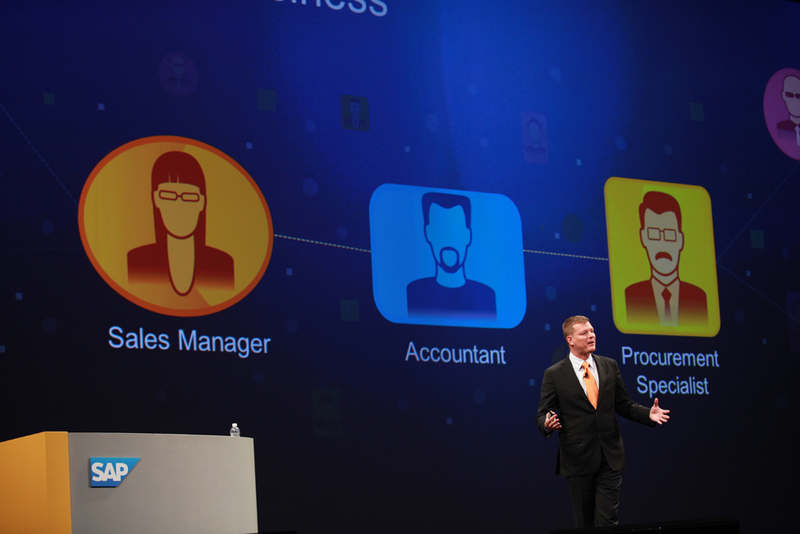 Supplier applications will be built off of SAP’s Sourcing OnDemand. Those will be based on existing work done by the Business ByDesign team, as well as new work being done by the developers at SAP who brought you R/3 and by developers at SuccessFactors, according to Dalgaard. The core difference is that unlike Business ByDesign, SAP’s cloud applications will be sold individually. That, Dalgaard said, is the way people buy clouds. If that sounds familiar, that’s because SAP had already started down that path with Career OnDemand, Sales OnDemand and Travel OnDemand. It’s also the approach Oracle has taken with its Fusion Applications. The link there is John Wookey, who in the merry-go-round of Silicon Valley, was head of development for Fusion Apps before moving to SAP to help build the OnDemand apps there, and is now at Salesforce.com, heading up application development. It will be interesting to see what comes from Salesforce.com two years from now when Wookey has moved on again. Dalgaard vowed to continue to invest in Business ByDesign, but made it very clear that if it, or any other platform doesn’t perform, he’s ready to throw it out. Given SAP’s checkered history with ByDesign, or its first OnDemand CRM applications for that matter, the market awaits the outcome.